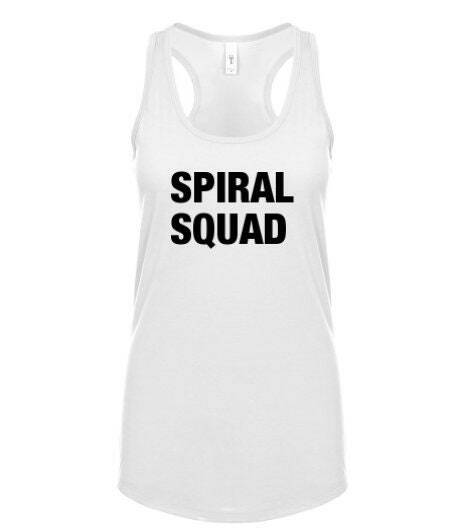 As Requested, here is our tank top version of SPIRAL SQUAD. Please leave any additional comments about your order under NOTE TO SELLER at checkout. All apparel orders are wrapped in tissue paper ready to gift. 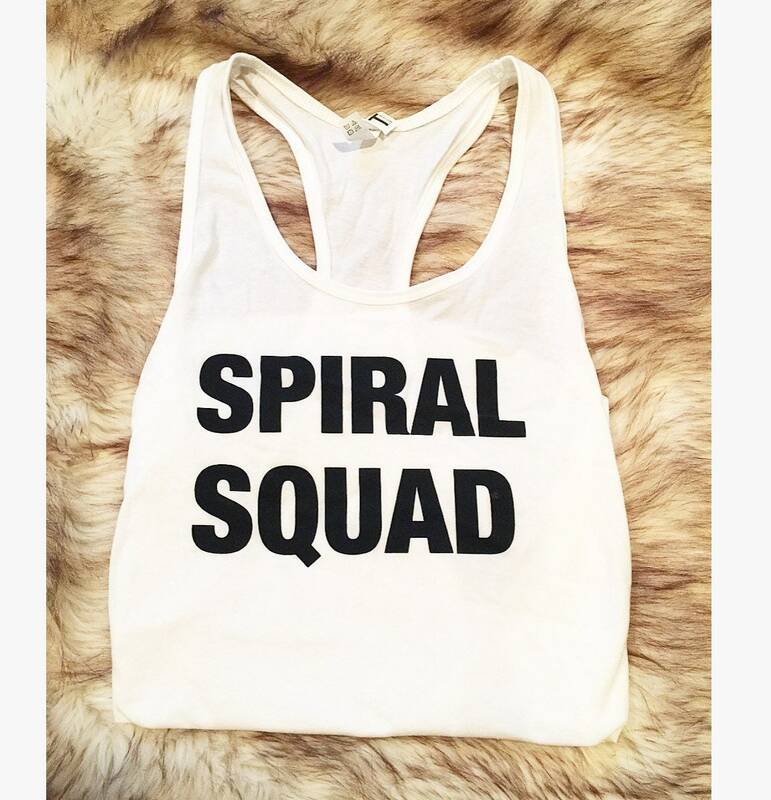 Love the tank, but the sizes run small. Cute I will wear it out when I drink.